Vivi Lachs is a historian of the Jewish East End, Yiddishist pop singer, performer, and Associate Research Fellow at Birkbeck College, University of London. She worked for 25 years teaching in Hackney schools. Recently called a Yiddish culture activist, she records Cockney-Yiddish songs with the bands Klezmer Klub and Katsha’nes. 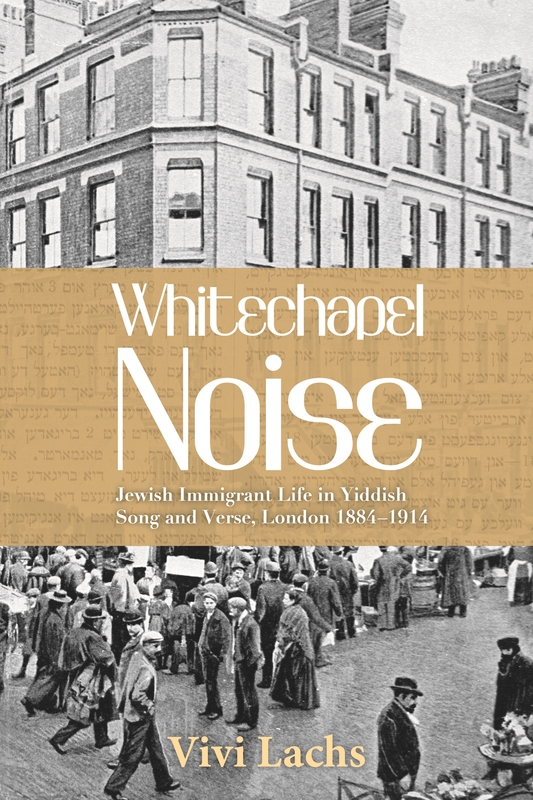 She set up the Great Yiddish Parade to bring songs of protest from the 1880s back onto the streets of London, co-runs the monthly Yiddish open mic cafe and leads occasional East End historical singing tours. She continues to research the Jewish East End through Yiddish texts. A stone wall or an iron gate reveal stories of community and schooling. An expression in a Cockney-Yiddish music-hall song or a union anthem from an 1889 tailors’ strike offer glimpses into a vibrant but conflicted world. Picking up clues and hints from photographs and Yiddish song lyrics, Louis Berk and Vivi Lachs present hidden stories from the Whitechapel shtetl.